Whether you’re a modern boho sophisticate or live for dramatic hippie chic, there’s always a middle ground. 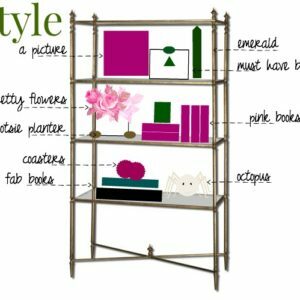 For those intent on having a refined decorating scheme with free spirit style, there are many options. 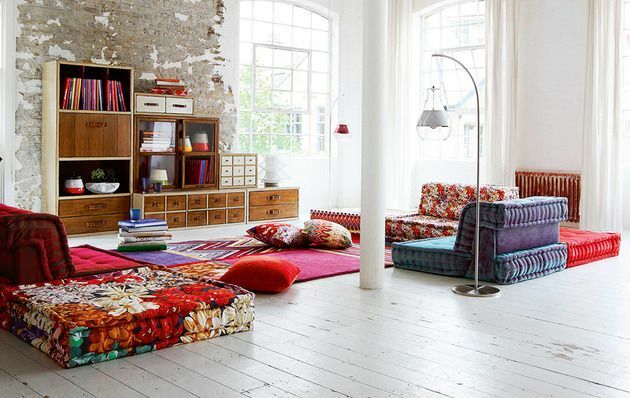 Turn a loft space or basement into a lounge site perfect for conversation and relaxation by adding decorative overstuffed square floor pillows. 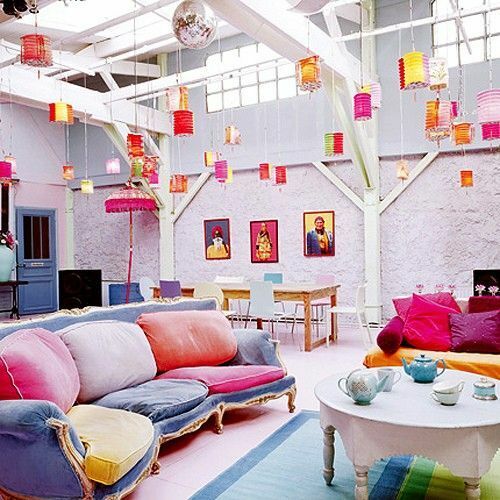 A vast improvement on big burly beanbag chairs, colorful floor seating adds a maverick vibe that makes a space feel unique and unconventional. 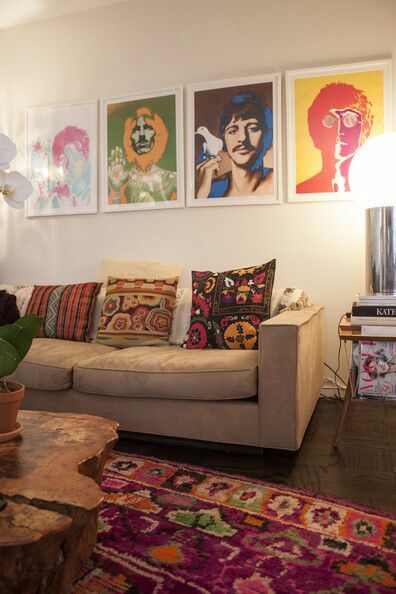 Adding a hip boho touch to any space is merely a matter of graphic rock and roll posters. 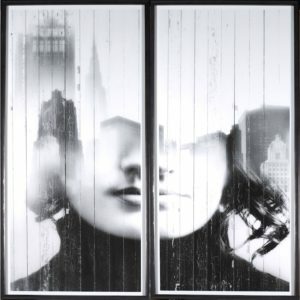 Whether you have a shrine to the Beatles or another famous Woodstock-era band, bright wall art serves to add a groovy decorative twist. A canopy or fabric ceiling, paper lanterns and string lighting all work well in a space with an ode to boho. 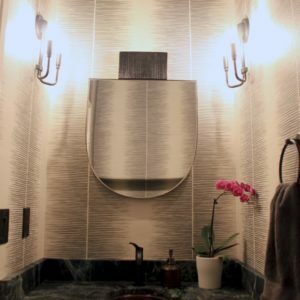 Whether you decide to add tons of ornamental flair (did someone say disco ball?) to your overhead space or go conservative, it’s always cool and chic to decorate the ceiling. One way to incorporate a bohemian theme is to take traditional furniture and accessorize with lots of patterns, colors and textures. 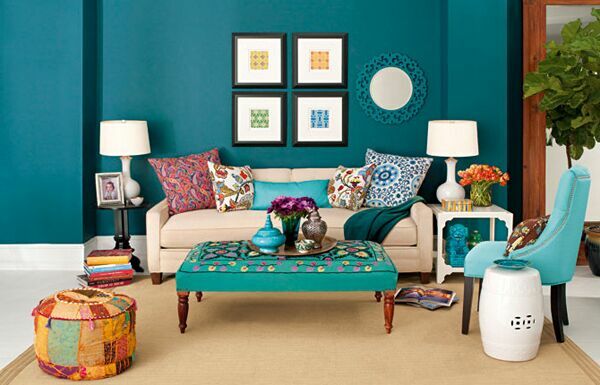 Adding patchwork pouf pillows with fringe, genie lamp vases and floral print ottomans infuses a space with artistic spice. 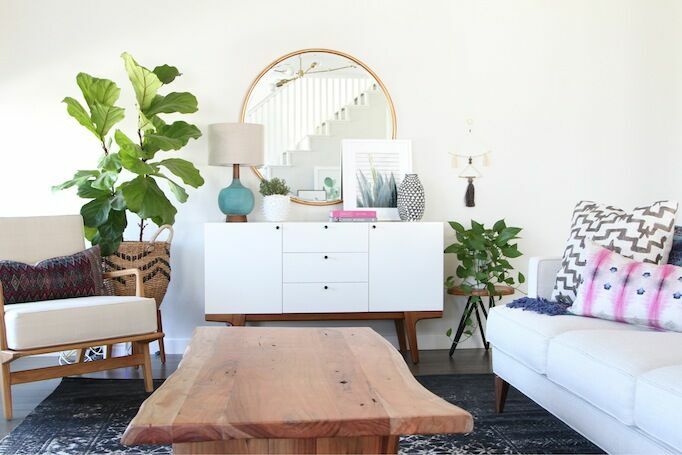 Looking to add earthy and eclectic vibes without creating a gypsy den or rocker room? 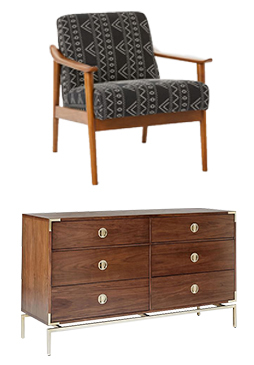 Adding rustic elements, tribal inspired prints and mid-century furnishings creates boho warmth without being too pushy. A simple black and white rug grounds a space filled with pinks, gold and white. Retro and wicker elements amp up the cozy factor. Whether you decide to give your abode a total bohemian revamp or simply add a few boho elements, there are countless ways to stylize a sophisticated space that is full of peace and love. 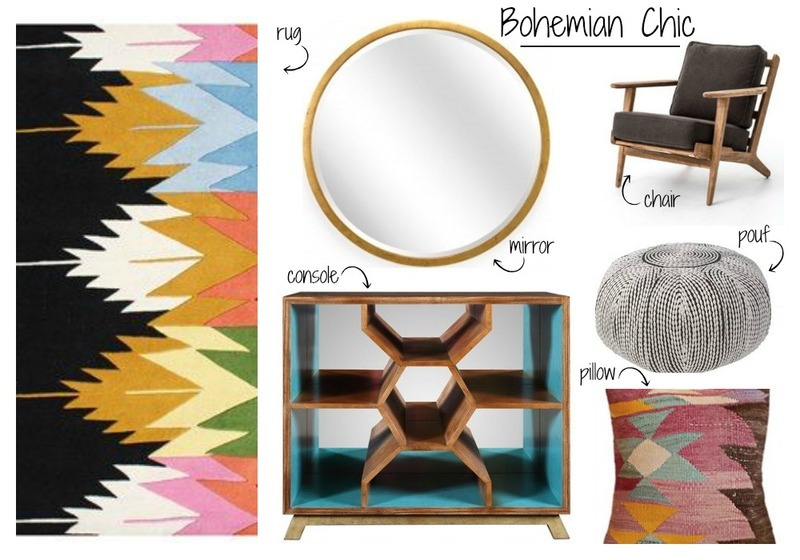 Just a few of the fab finds for the grown up Chic Bohemian from LuxeDecor.